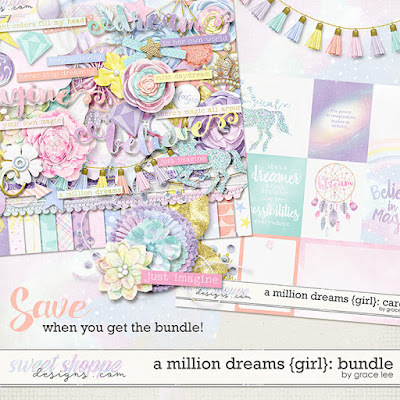 A Million Dreams (Girl): Bundle is inspired by sugar and spice and everything nice. Gorgeous pastel papers and elements will help you create countless layouts of little girl's imaginations. Perfect for birthdays, fairytales, playtime, weddings, and a million everyday dreams.